I'm a big fan of Terry Pratchett audiobooks - I think I have almost all of them from Audible now. But to be honest, I couldn't even finish this one. 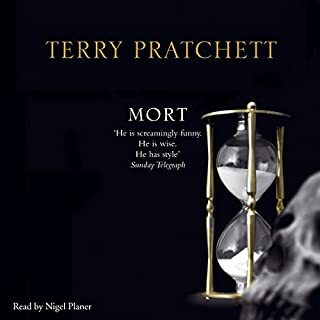 Celie Imrie is a fine actor, but I don't think she understands that the Discworld books are supposed to be funny, lighthearted and a little absurdist, even when they're dealing with 'darker' themes. She reads this as though it's a highly serious, somber, and utterly without humour. 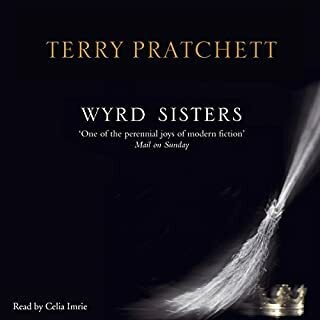 I never thought I'd say this about a Discworld novel, but listening to this was kind of depressing. I'm a big fan of Iain M Banks (and Alistair Reynolds, Richard Morgan, etc.) - what they call 'hard science fiction' or sometimes 'space opera' - so it wasn't really surprising that I liked this latest Culture novel. I WAS surprised at how well the narrator did with this - the story was so complex, and there were so many characters, that I was really impressed with Peter Kenny's ability to keep up with it all. The names are difficult sometimes, but Kenny did a great job of making the voices and personalities very well distinguished from one another, so it wasn't too problematic. No doubt I'll listen to this again in another month or two for all the bits I missed. 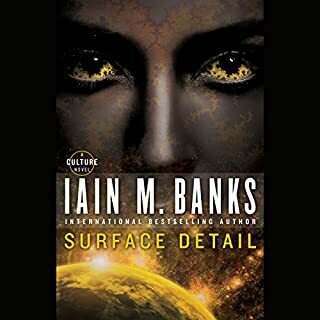 One caveat: Iain Banks and Iain M Banks books often have a certain amount of unflinching violence in them, and this one was particularly gruesome in parts. Some of the scenes in the hell worlds were difficult to take. So I wouldn't recommend giving this book to a 12-year-old or even someone with delicate sensibilities - definitely some nightmare-inducing scenes in there (and of course the writing is so good, you really do end up thinking you were there). Late one summer evening, Wilberforce - rich, young, work-obsessed and self-contained - makes an unexpected detour on the way home from the software company he owns and unwittingly takes the first step on a journey that will change his life. His uncharacteristically impulsive act leads him to the door of Caerlyon Hall, the domain of Francis Black, a place where wine, hospitality, and affection flow freely. I bought this on a whim, having never heard of the book or the author before - I just like David Rintoul as a narrator. It turned out to be a fantastic story - lots of twists and turns, an interesting approach to 'revealing' both elements of the story and the character of the protagonist, good writing, and good reading. (I don't want to spoil it for you by saying much about the plot.) My only quibble, and it's a small one, is that I would have liked a little more closure at the end - I was left thinking, "Okay, but what happened NEXT?" But overall highly recommended. 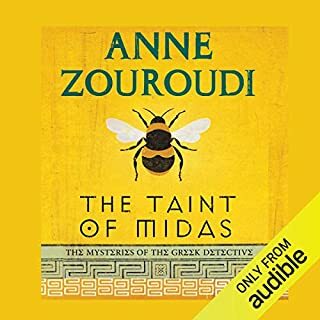 The story here was interesting (part murder-mystery, part snapshot of what it's like to live in modern-day Greece) and has some of the same qualities as 'The Ladies #1 Detective Agency' series, though with more incisive character studies and a less sentimental approach. I feel certain that some of these character studies and 'slice of life' moments were supposed to be light-hearted and even a little bit funny, but apparently the narrator and/or the audio director for this recording didn't agree with me, because the reading was slow, sonorous, and sounded more like a eulogy than a novel in which honeybees figure prominently and someone's always eating a sugary pastry. Three-second pauses between sentences are common; whole phrases are more 'intoned' than 'spoken'; and every character sounds like they've been seriously depressed and/or lethargic for a while now. That might have worked if the story itself were some dark Russian tale where family members were killing each other and black clouds were always looming over a barren landscape while children died of pneumonia every five minutes. Here it just kind of gets in the way of enjoying some of the really quite good characterizations and interactions between characters. I don't know who directed this production, but they must have been going through a bad time in their life because some of the characterization in this series is really over the top. Half the characters speak their internal monologues as though they're Hamlet: Low, dramatic voices with lots of heavy breathing, and there are frequent sound effects of crying children and screaming women (to emphasize the tragic bits). 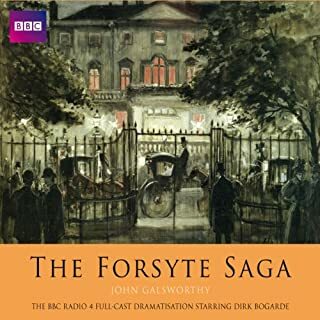 I've read the Forsyte books and I know they're supposed to be fairly serious, but I feel confident they weren't supposed to be this fraught. The narrator is good (Michael Hordern, famous for being Jeeves in BBC radio series, among other roles) and the characters who aren't acting like they're having nervous breakdowns are pretty good. And of course the story itself is quite interesting. So if you like your radio shows with a nice dose of Macbethian craziness and a fair amount of weeping and wailing, you'll like this. Otherwise, you may find yourself rolling your eyes a lot. 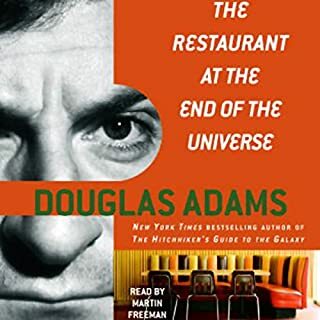 I'm a big HGTTG fan, and over the years I've listened to all the radio dramatizations and at least 3 or 4 different versions of the audiobooks (Stephen Fry, Douglas Adams, Martin Freeman and I think Simon Jones, who played Arthur Dent in the original radio series). Martin Freeman played Arthur Dent in the 2005 HGTTG movie, so he's familiar with the material, understands most of the characters, and a couple of his characterizations are pretty good - I thought he did a great Marvin. And he's a good actor, too - he plays Watson in the new BBC version of Sherlock Holmes that everyone loves so much. But his Zaphod is bad, it's inconsistent with the radio series, and I found myself wanting to give him either a cup of strong coffee or a couple of anti-depressants, because he just doesn't seem to have much enthusiasm. And HGTTG is supposed to have a lot of zip. My recommendation is: Don't buy this version. Try to track down the Douglas Adams or Simon Jones versions. What Agatha expected to be a sparkling modern marriage in the middle of the romantic Cotswolds is turning out to be anything but. James Lacey, the love of her life, is proving to be a most irritated husband; he does not approve of her turning the laundry pink, and is equally censorious of take-away dinners. In turn, Agatha is quite put out by suggestions that James has been frequenting the company of his ex-lover, Melissa. 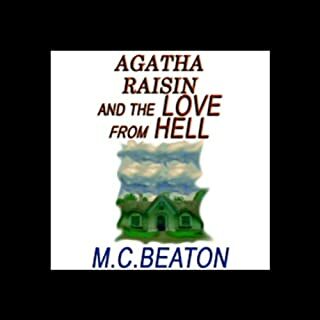 These Agatha Raisin books have all the elements I usually like in an audiobook: quirky heroine who's both successful and a bit insecure, some interesting characters who are fairly well-developed (given the genre), and plots that are reasonably believable and don't rely on absurd twists at the end. But these Donalda Peters readings always leave me so DEPRESSED: 'quirky' gets turned into 'always rubbing people the wrong way'; 'plucky' comes off as 'unpleasantly OCD'; and 'a bit insecure' comes off as 'totally unhinged when it comes to relationships with men'. Take a sentence like, "Agatha decided she'd just have to go through with it." You can read that with a plucky, determined cheerfulness, or you can read it with a woeful, resigned-to-my-fate despair. I feel like Donalda Peters always goes for the latter. 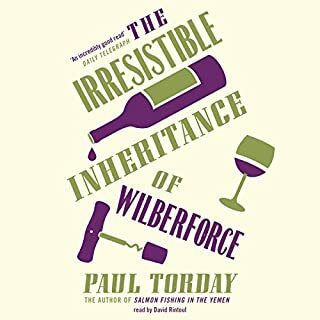 Anyhow, if you like Peters' readings of Agatha Raisin, this is fine; if you're a single woman over 40 who worries about growing old alone with your cats, do not, under any circumstances, buy this audiobook. I mostly knew Peter Jones as the narrator in the Hitchhiker's Guide to the Galaxy radio shows, so I kind of got this one on a whim, but I was very pleasantly surprised. Well-written, well-read, and quite funny in spots - made me wish he'd written more, actually. Worth getting! Wimsey’s mother, the Dowager Duchess of Denver, rings her son with news of ‘such a quaint thing’. 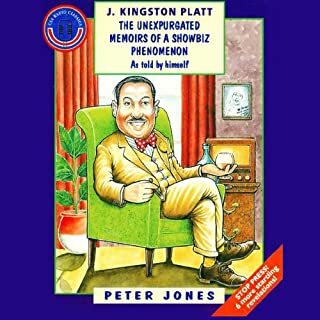 She has heard through a friend that Mr Thipps, a respectable Battersea architect, found a dead man in his bath – wearing nothing but a gold prince-nez. Lord Wimsey makes his way straight over to Mr Thipps, and a good look at the body raises a number of interesting questions. Why would such an apparantly well-groomed man have filthy black toenails, flea bites and the scent of carbolic soap lingering on his corpse? Another great Lord Peter Wimsey dramatization! 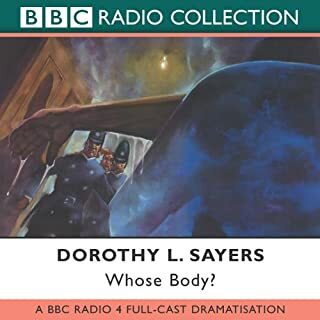 I'm a big fan of Dorothy Sayers, and I love these dramatizations starring Ian Carmichael. This is another good one. The ending's a little odd and a bit forced, but whatever - the performances are great.